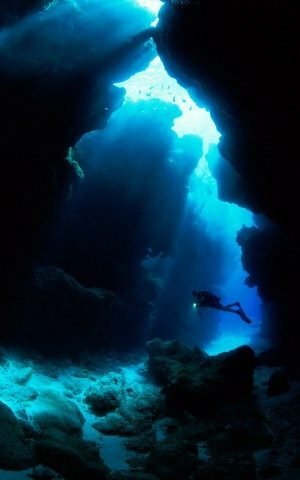 Many divers find the lure of the deep intoxicating! Whether you are swimming along drop offs over beautiful blue water with massive Sponges and Fans or exploring deeper ship wrecks, it brings out the adventurer in all of us! The excitement doesn’t come without risks. Decreased bottom times and greater exposure to nitrogen are just a few. If this interests you then the Deep Diver Specialty is for you! Under direct supervision by one of our highly experienced Instructors we will take you through Preparing, Planning and Executing dives in the 18m/60ft to 40m/130ft depth range. The course consists of knowledge development, equipment considerations and planning. All culminating in 4 deep dives! - Recent diving experience other than Open Water and Advanced Training Dives. 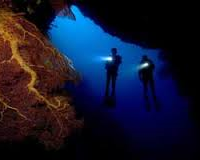 - It is usually recommended divers have completed at least 10 dives other than training dives. Theory session conducted at the Dive Frontiers Shop. First Two Shore Dive locations are dependent on ocean conditions. Last two dives are dependent on the options above and weather conditions. 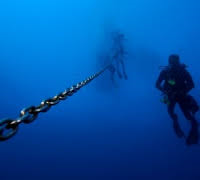 A minimum number of 4 divers are required for the course to run. Diving Frontiers reserves the right to cancel or defer the course, if minimum numbers are not met. Ocean and Boat Dives are dependent on weather conditions. Diving Frontiers reserves the right to cancel/defer boat dives or charters, change vessel or dive site, if conditions are not deemed safe. Course can also be done with dive trips see options above.